number from the Zara sale. It was love at first shimmy! Of course I had to test out the fringe factor in the dressing room. I had serious vacation frizz happening and I needed to conceal my dome piece. Soooo.... I got my doo-rag on with a vintage silk scarf that I had packed in my suitcase! So stylish, love the 70's vine with the sunnies and headscarf! the dress is gorgeous and so is the scarf in your hair! such a perfect summery look! That fringed dress is so cool and bohemian chic! Love the fringe on the dress..not getting into the fringe but this is not overwhelming...just a touch..love it! The fringe and the head scarf are winning combinations! Love it! You look great! I love that head scarf with the big sunglasses!! Oh wow...stunning! Love the scarf and big sunglasses-so classic and wonderful! great dress! really like the fringe and bead detail! 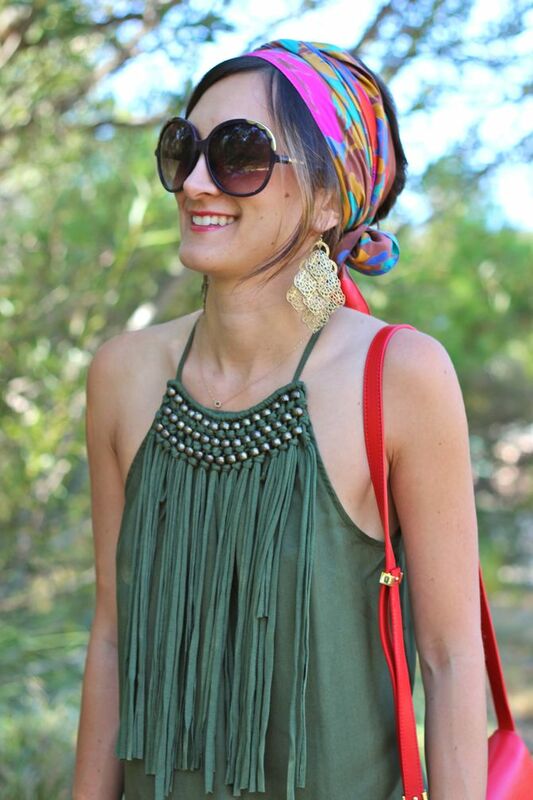 Love the fringe - and the headscarf and oversized shades add the perfect 70s touch to it! Really, Really loving this look chica! Loving this boho vibe! You look too cute w/that scarf in your hair too! The look is perfect, head to toe! 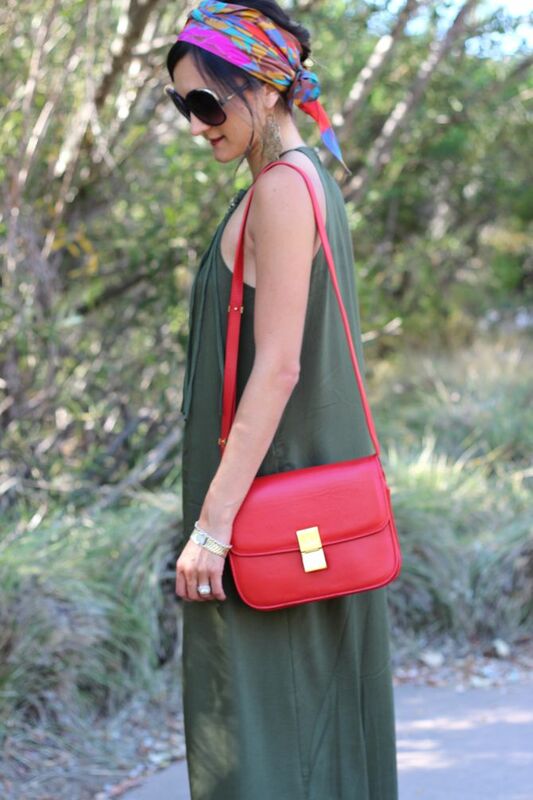 gorgeous dress and wonderfully spiced up with the colour of the bag & scarf. Love the dress so bohemian! You look divine in maxis! I love the fun scarf too! I die! LOVE LOVE LOVE! Love this maxi girl! That fringe is so cool! lovely dress so perfect for summer weather and I love the scarf! you look lovely as always Nicole! Sigh and I drool over your Celine bag! So cute! I've been wanting a maxi! obSESSED with this look. from the sunnies to the gorgeous headscarf to the earrings and that beautiful color dress! not to mention THAT BAG...celine is the best. Fabulous, and I love the idea of you shimmying around the change room! !